CORONA, CA--(Marketwired - Jun 16, 2015) - The decision to undergo breast augmentation involves a number of choices regarding the surgical approach that can dramatically impact the final results of the procedure, explains Riverside plastic surgeon Christopher Chung, MD. He suggests that selecting an implant type, size, incision placement, and implant placement can seem overwhelming at first to many women. To help ensure that his patients make well-informed choices about their health, he dedicates much of the consultation process to educating patients about their breast implant options. With so many different approaches, Dr. Chung says he is able to custom-tailor each breast augmentation in a manner best suited to the individual's unique physiology. Most breast surgery patients, regardless of body type, typically seek results that look realistic and natural, he notes. As a result, he explains that he keeps this goal in mind when making recommendations for the details of each procedure. Using advanced technology such as the Keller Funnel™, he adds, he can often reduce the size of incisions as well as minimize postoperative scarring for exceptionally natural results. Dr. Chung also endeavors to help his patients select the best implant placement for a natural appearance. He says that choosing whether to place the implant over or under the chest muscle can significantly change the final outcome of the procedure. "Implants placed over the chest muscles can produce superior results for patients who have extra skin around the breast or an ample amount of natural breast tissue," says the Corona plastic surgeon. "However, for patients with thinner skin or less breast tissue, placing the implant below the muscle can create a more natural shape and slope to the breasts." A physical exam to assess the thickness of the skin around the breast, the amount of natural breast tissue, and the laxity of the skin around the breasts will be used to help determine which implant placement can provide optimal results and achieve each woman's individual cosmetic goals, he concludes. 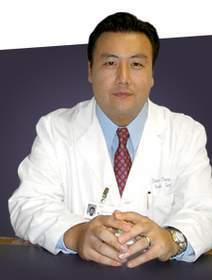 Ultimately, Dr. Chung believes that educating patients about their options for breast surgery, including breast implant placement, offers numerous benefits. As a result, he strives to provide an informative resource about the techniques available that may be able to provide the most natural-looking results possible. Board-certified plastic surgeon Dr. Chung leads a private practice based in Corona, California. After earning his medical degree from the University of California, San Francisco, he completed eight additional years of training in general and plastic surgery. Dr. Chung is an active member of the American Society of Plastic Surgeons (ASPS) and a Diplomate of the American Board of Plastic Surgery. He is also the recipient of the California Legislature Assembly Certificate of Recognition and the United States Special Congressional Recognition. Dr. Chung is available for interview upon request. For more information about Dr. Chung and his practice, please visit drchungplasticsurgery.com. About this company Christopher Chung, M.D.